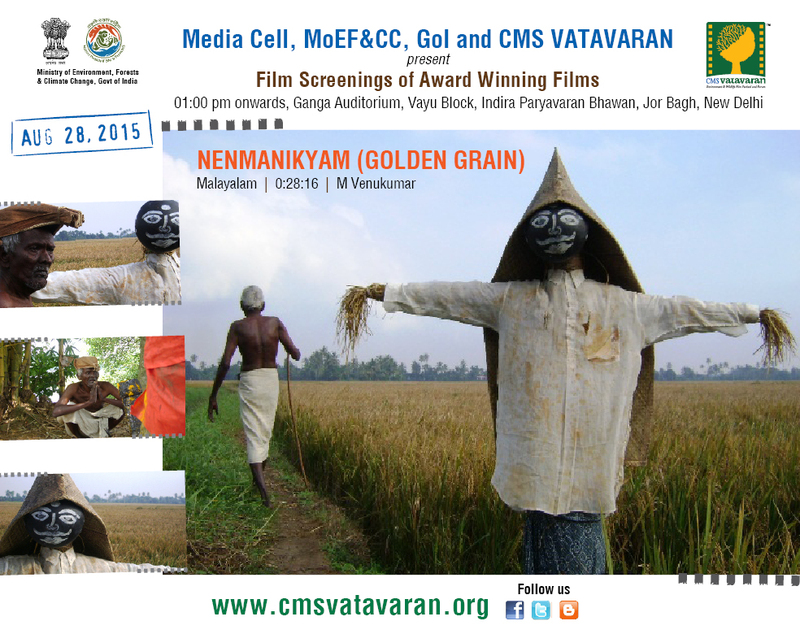 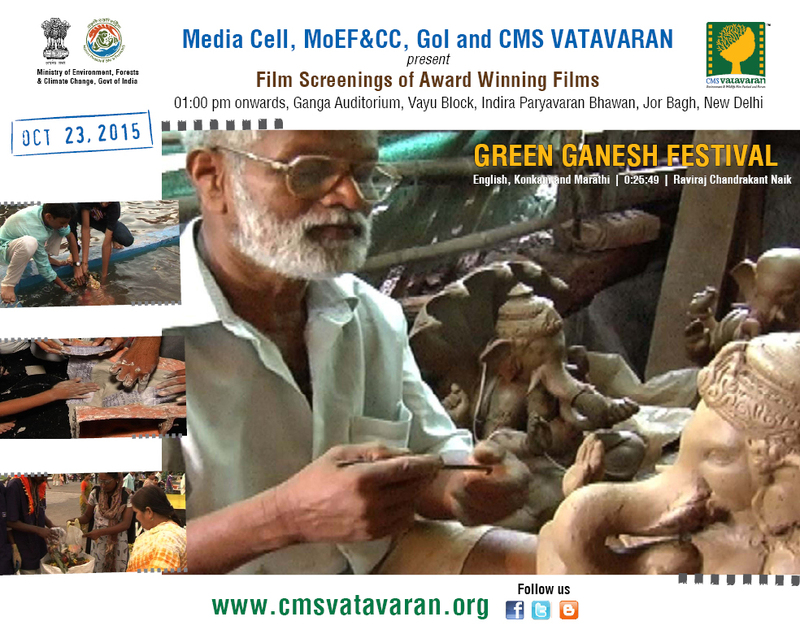 The Union Ministry of Environment, Forests and Climate Change has collaborated with CMS VATAVARAN, Asia’s largest green film festival, for weekly film screenings. 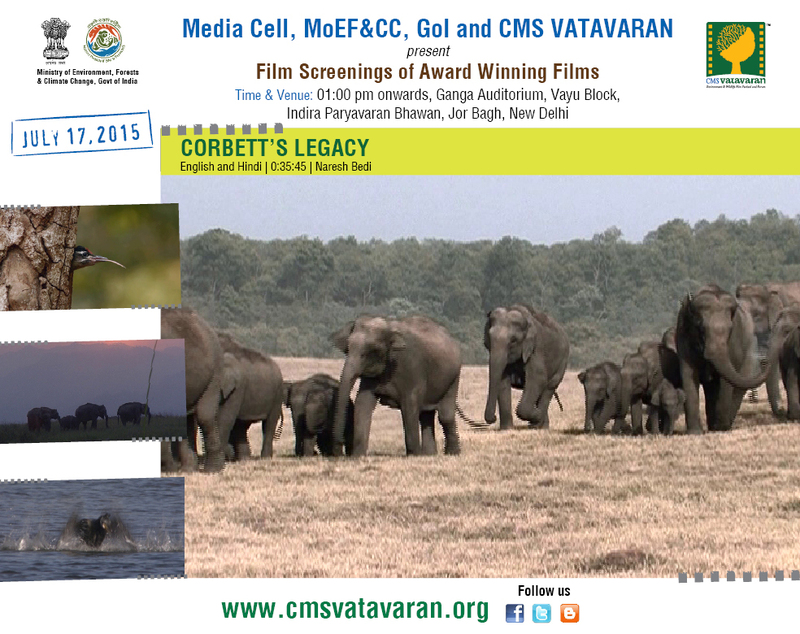 With an aim of bringing its environmental and wildlife conservation efforts to the masses, the Union Ministry of Environment, Forest and Climate Change is hosting award winning film screenings at Ganga Auditorium, Vayu Block, Indira Gandhi Paryavaran Bhawan, Jorbagh, New Delhi. 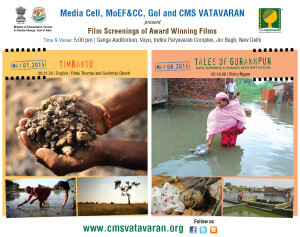 These screenings are held every Friday. Entry to the screenings is free and open for all. 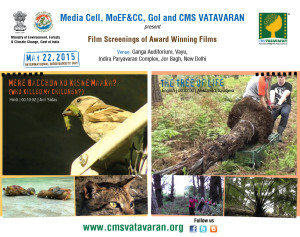 MoEF&CC as part of its environmental and wildlife awareness campaign have identified four themes that will be in focus during the years 2015 and 2016, which includes afforestation, waste to wealth, reduce pollution and reduce plastic and will be using films to promote awareness on these issues. 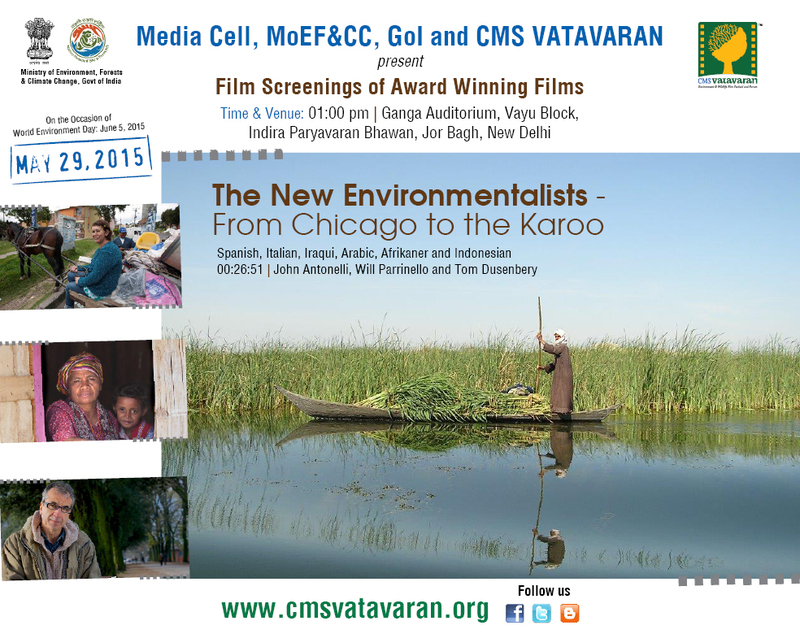 The films will be provided by CMS VATAVARAN, which now has a rich repository of environment and wildlife documentaries, animation and short films. 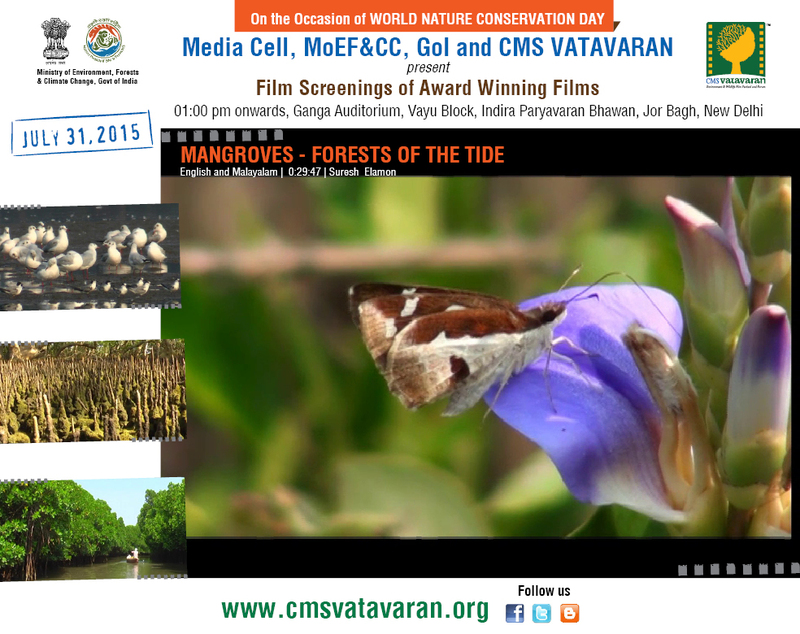 The Ministry of Environment, Forest and Climate Change has been a Principal Partner of CMS VATAVARAN since its inception in 2002. 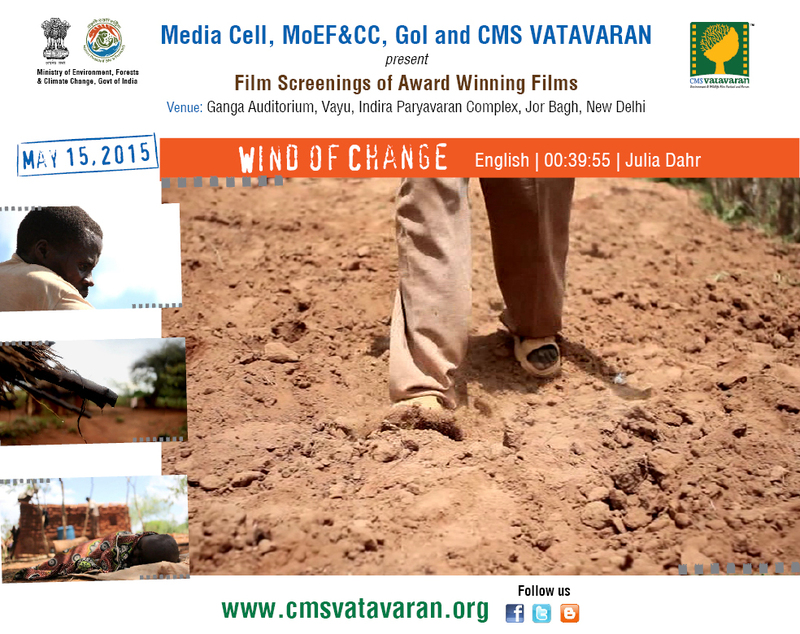 And this is for the first time that the Ministry will be hosting film screenings at its premises for its officials. The film screenings will be held every Friday from 5:30 pm at the MoEF&CC’s state of the art green building-Indira Paryavaran Bhawan. 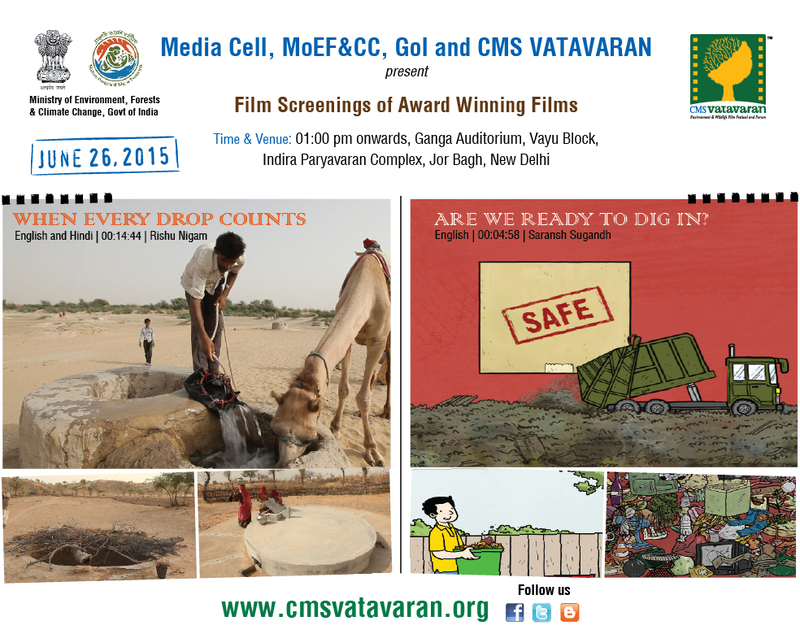 The film screening is free and open to all. 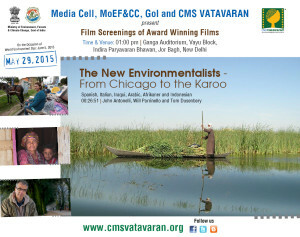 CMS VATAVARAN – India’s premier environment and wildlife film festival and forum is aimed towards enhancing understanding, appreciation and shift in attitudes towards the natural world and to increase space for environmental issues in mass media and evolve a nationwide environment outreach framework. 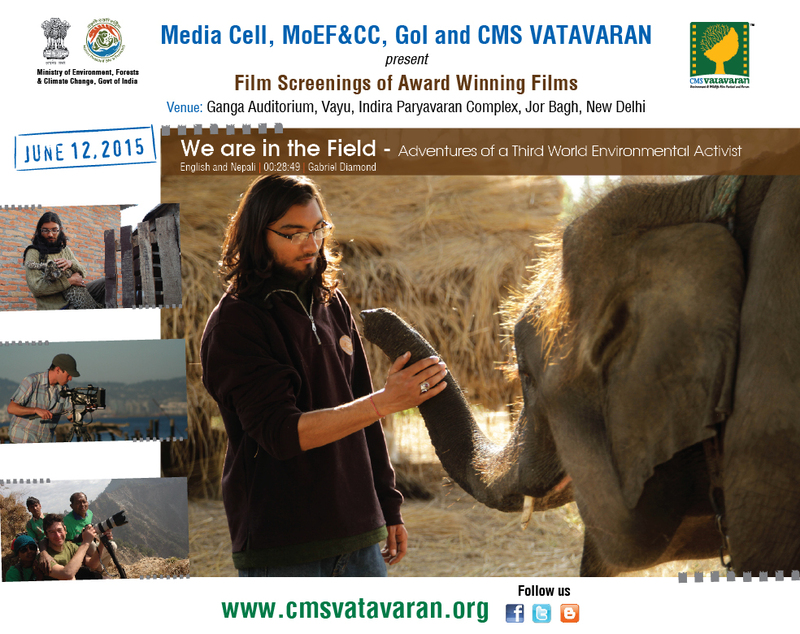 It has created a strong network of Indian and International filmmakers, policymakers, academicians, research think tanks, environmentalists, journalists, students of all streams, defense & paramilitary forces and nature enthusiasts. 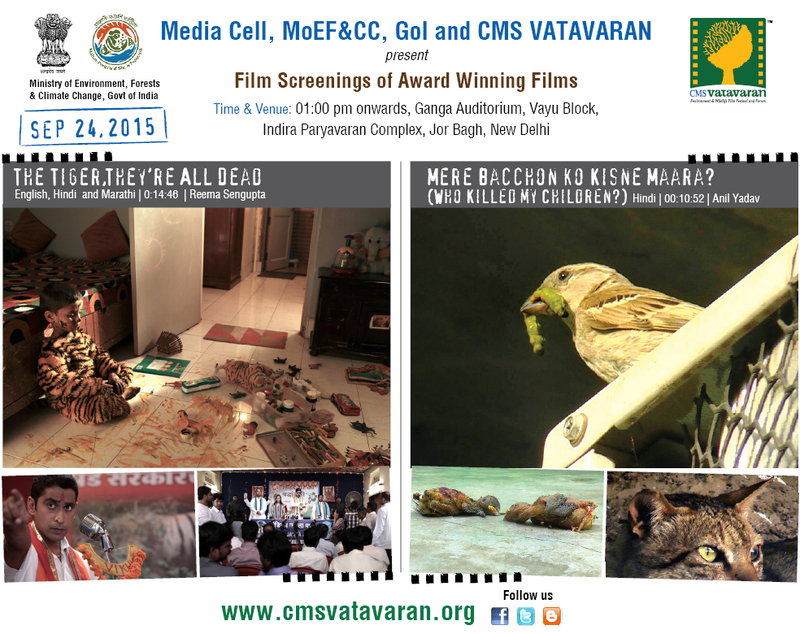 Till date, 44 festivals have been organised in 35 cities of India. 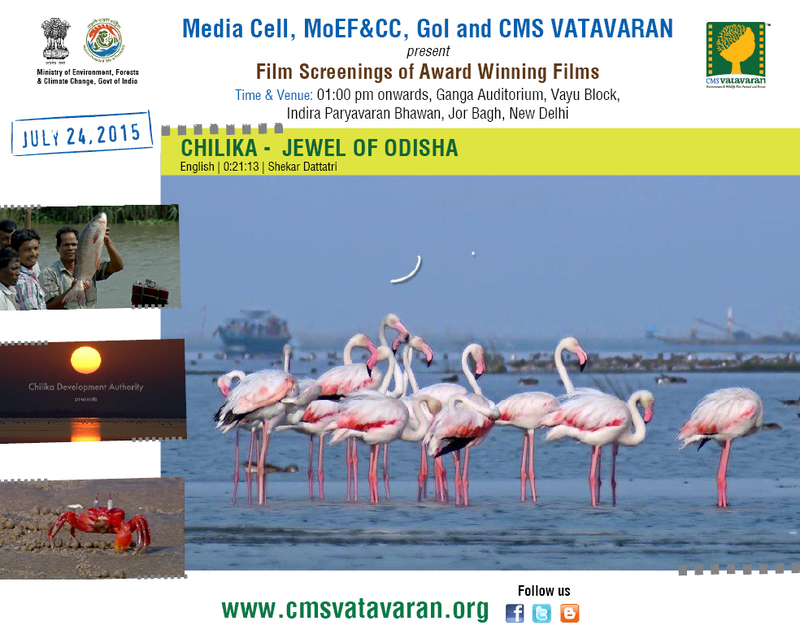 The travelling festivals are organised in state capitals and other important towns and cities. 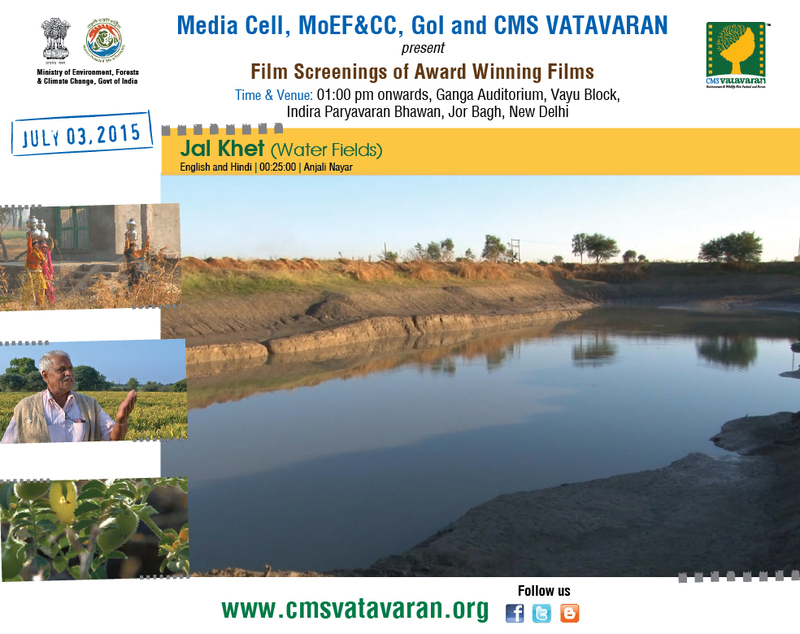 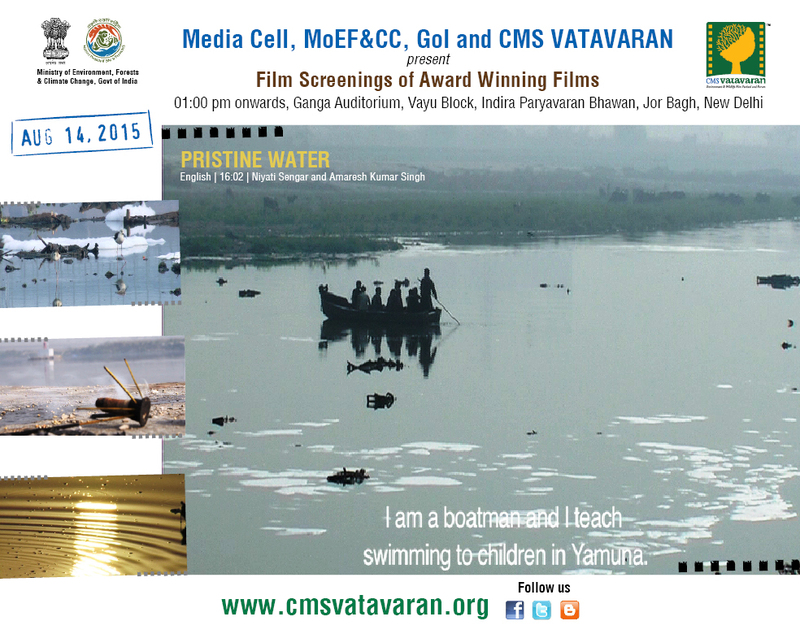 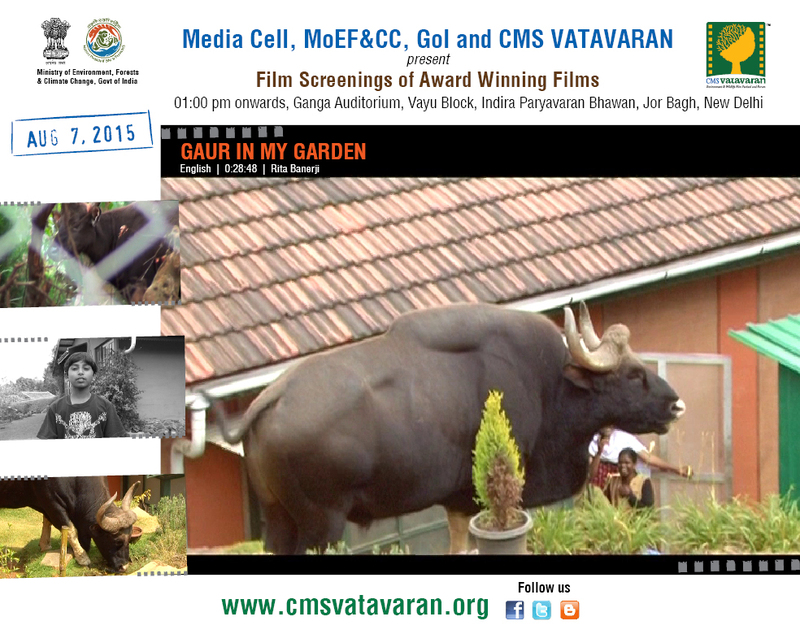 Screening of environmental films at the MoEF & CC, 29th May 2015. 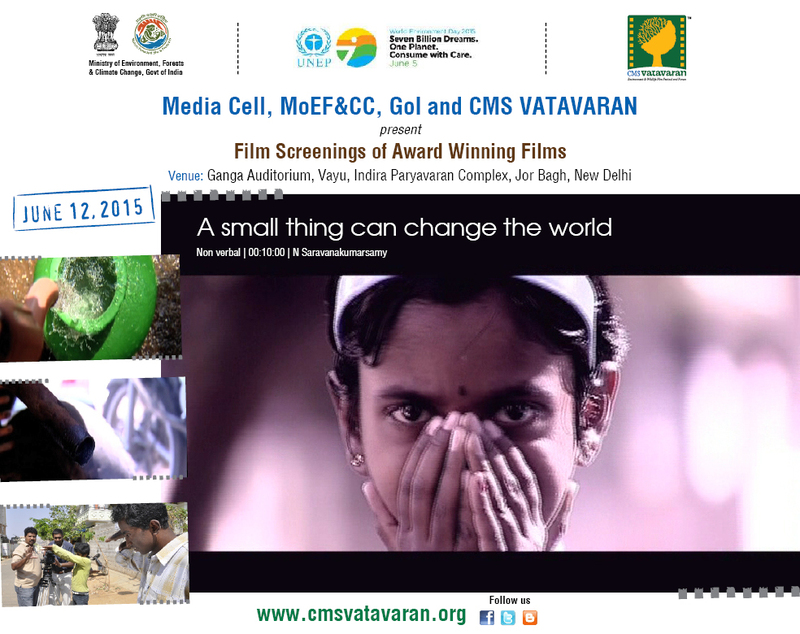 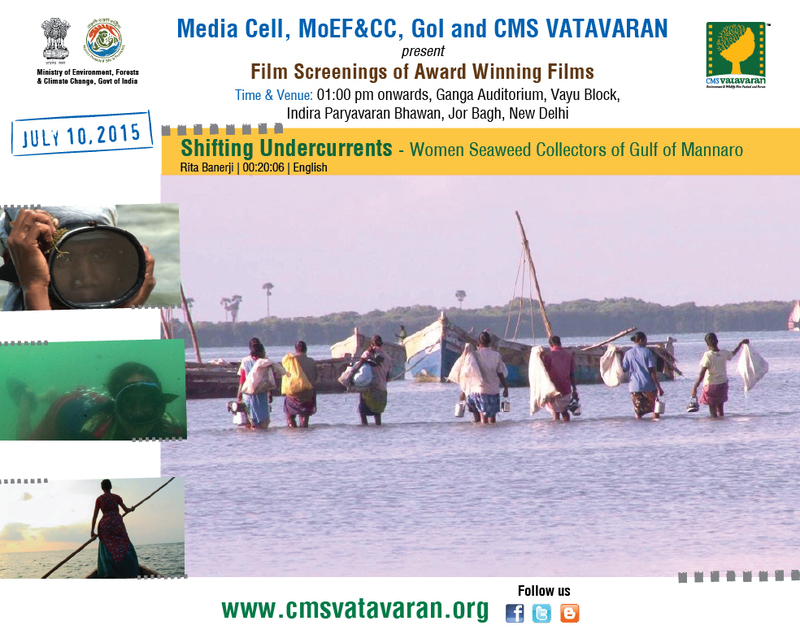 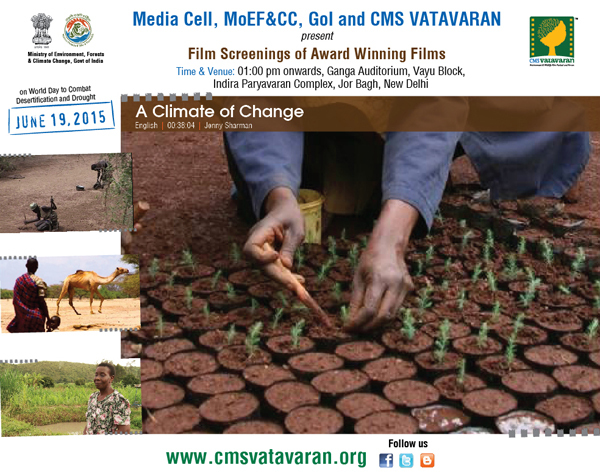 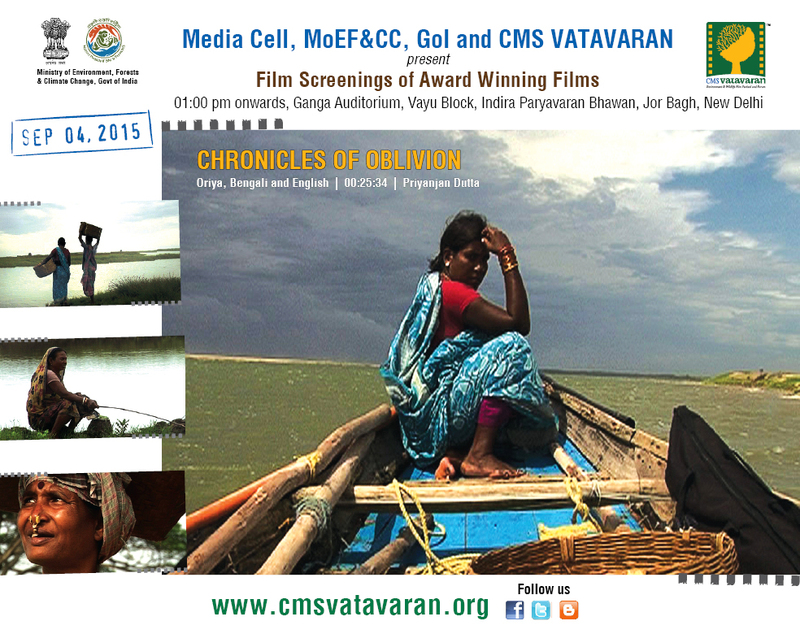 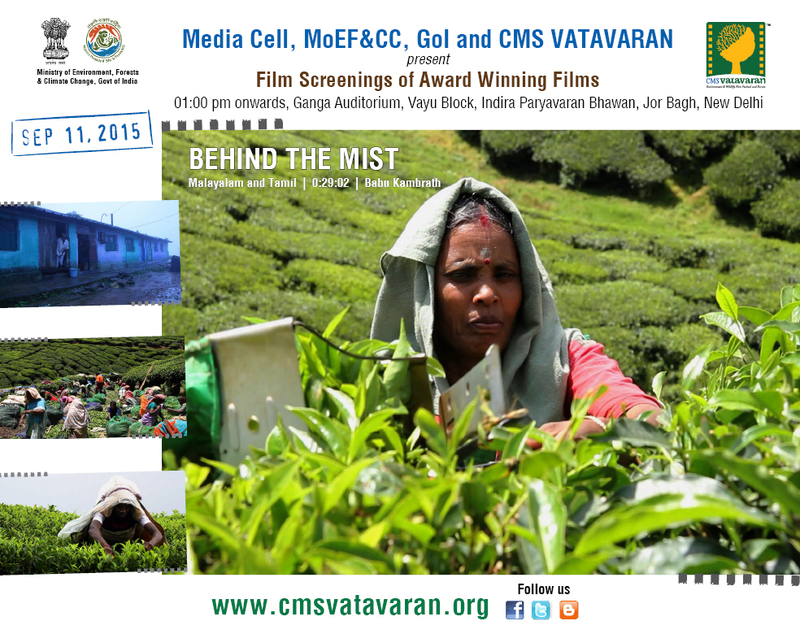 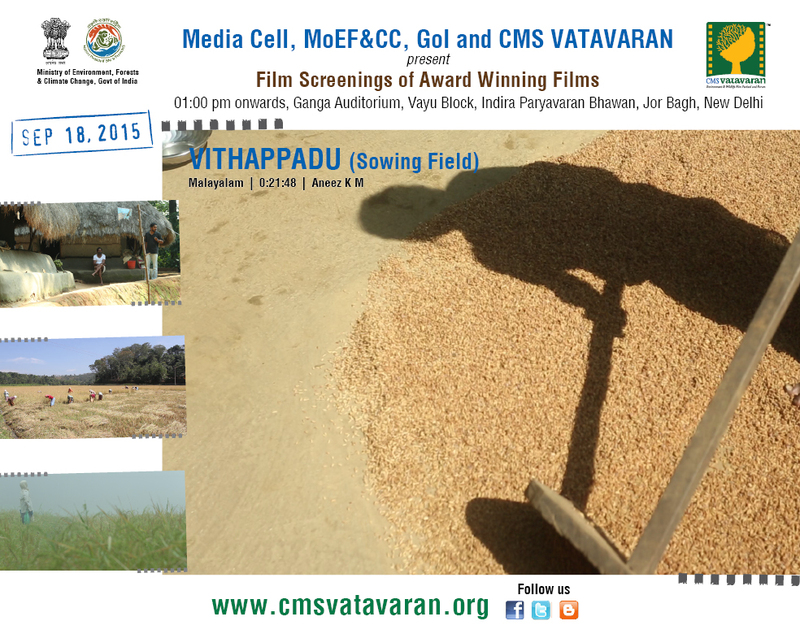 MoEF & CC adopts films as a medium of change, 15th May 2015.